A superb old image showing the Fletton United FC team of 1907/8. 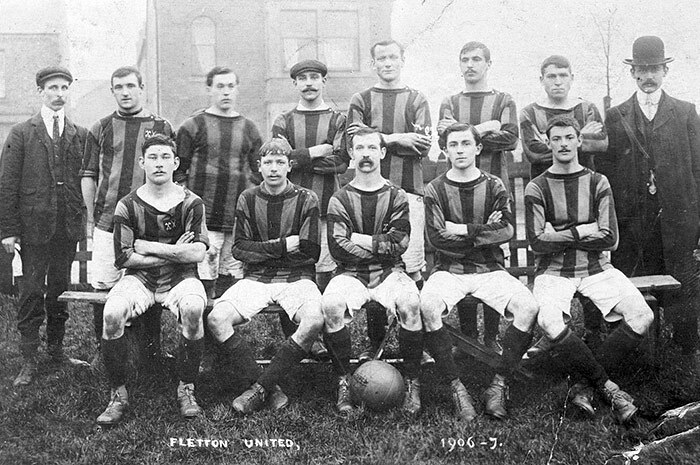 Fletton United amalgamated with Peterborough City FC in 1923 to become Peterborough & Fletton United FC. The latter folded in 1932 but the void was filled two years later when Peterborough United FC was formed.